Property removals require a sufficient amount of planning and a certain portion of advanced prep work. Although many people who attempt to deal with the removal on their own do give themselves enough time to organise everything, still fall short of the timely, cost effective and hassle-free completion they were hoping for. * Customer support provided by specially qualified customer consultants. ** We have the necessary licensing to operate countrywide. 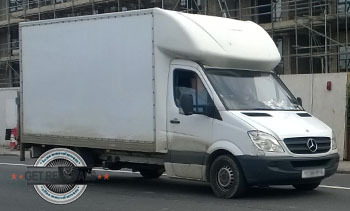 *** Our cargo vans are clean, fully stocked with safety blankets, GPS navigated, equipped for heavy lifting. When offering removals in Kingsbury, we know how important affordability and cost efficiency are for our customers, this is why we give out free, no obligation quotes, custom tailored pricing and great midweek discounts on all moving services. Our service packages are fully comprehensive and cover the entire removal, this translates to fewer hassles for you and more time and energy to be out and about. 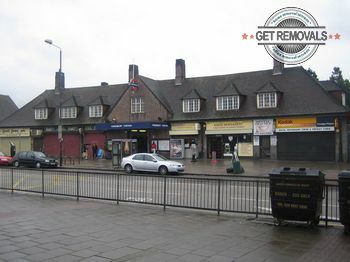 Kingsbury and its places of interest will help you kill a few hours while we deal with the removal. The area’s name comes from Old English and translates to the king’s manor. Although the area had The Crown in its name, progress and development came slow and uneasy to the once rural and scattered settlement. First actual signs of construction and urbanisation in Kingsbury came as late as after the end of WWI. Industry however was doing well in Kingsbury. The area is not too far from Hendon Airport thus the aircraft manufacturing that was set up there. Roads have always been well-maintained around Kingsbury since the nineteen twenties, when the British Empire Exhibition was stages in Wimbledon. For about fifty or so years, from the nineteen twenties to the early eighties, Kingsbury was home to the Vanden Plas Specialist Motor Body Works – the company that was responsible for stamping and manufacturing the body panels for Bentley Motors.